Monopolistic D.R. HORTON, which wants to destroy Fish Island in St. Augustine, bulldozed an entire forest illegally, escaping fines in Fort Worth, Texas. There is NO public benefit to allowing D.R. HORTON to destroy Fish Island. The Planned Unit Development should be DENIED. The City needs to use Florida Forever and Florida Communities Trust funds to buy Fish Island and preserve it as a park. Video Games the Next Texas High School Varsity Sport? 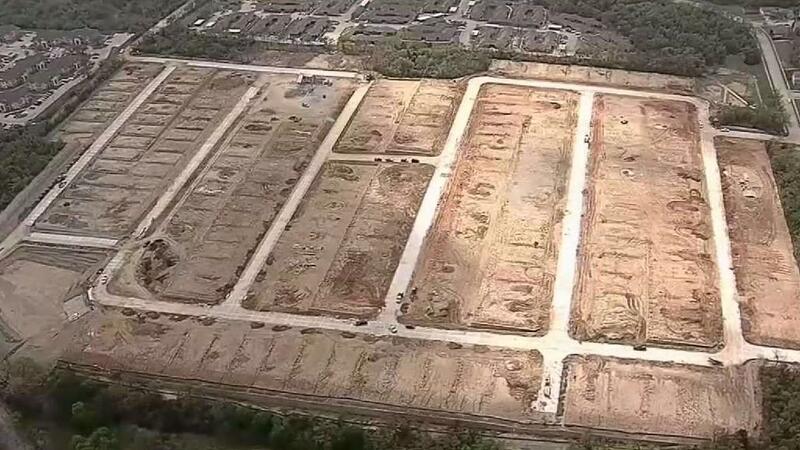 A developer that bulldozed trees to make way for a new Fort Worth subdivision has apologized and agreed to plant five times as many new trees as it destroyed and maintain them for two years, city officials said. The agreement means the company, D.L. Horton, will not have to pay a $296,000 fine, said Fort Worth Planning and Development director Randle Harwood. Harwood noted that city staff is still reviewing the agreement and it has not been finalized. "We have received the detailed plans and are in the process of reviewing those plans," Harwood said in an email.He said it appeared Horton has been honoring the deal to plant new trees in exchange for the city dropping the fine. "The cash fine is off the table," Harwood said. Under its original permit, Horton was supposed to leave trees to provide 25 percent cover in the east Fort Worth neighborhood near Interstate 30 and Eastchase Boulevard.The subdivision is called Trinity Oaks. "They just levelled it out,” said neighbor Oscar Garza. “I mean those bulldozers were going day in, day out." “We regret the miscommunication that resulted in the removal of excess trees in the Trinity Oaks development, and we are committed to working with the city to rectify the situation,” the statement said. City council member Gyna Bivens, whose district includes the development, said Fort Worth needs more inspectors to keep developers honest. “You want to know how I feel? I’m pissed off,” Bivens said.She said the city needs more inspectors to keep developers honest -- and even neighbors to call in tips. "They've got to call in,” she said. “I mean, they have to call in when we don't have street lights burning, when we have potholes on the road." She suggested charging developers more in permit fees to pay for more inspectors.